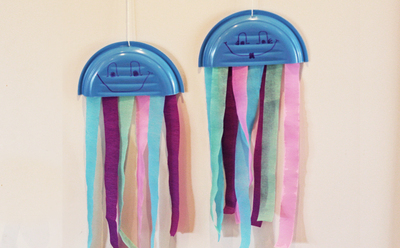 We've already shown you how to make a dingly dangly octopus, so here's a jellyfish to match. 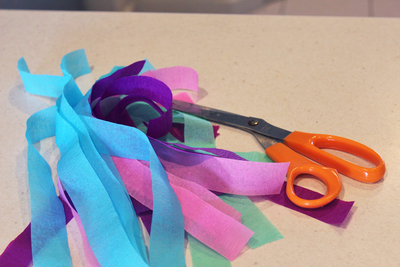 All you need to make one of these are scissors, sticky tape, and a few leftover party supplies. 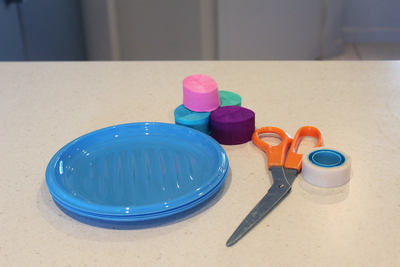 Take your paper or plastic plate and cut it in half, each plate can make two jellyfish. 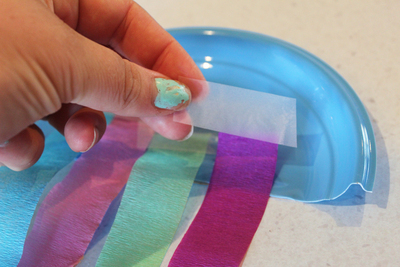 Cut 6-8 strips of party streamers for each plate, it really depends on how big your plates are and how many 'legs' you want. Begin sticking on your jellyfish legs. Stick them to the side of the plate that you'd normally eat off. 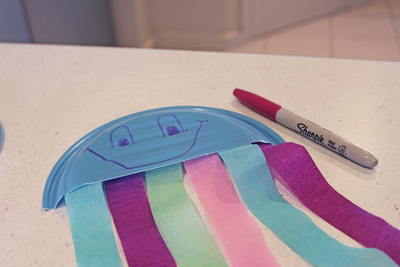 To give your jellyfish a face you can either use a marker, or cut out eyes drawn on white paper and stick them on. You can decide what sort of facial features you're giving your jellyfish. 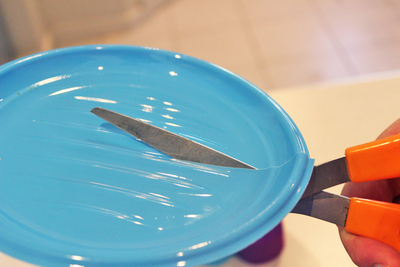 If you're using paper plates you can even paint your jellyfish first. 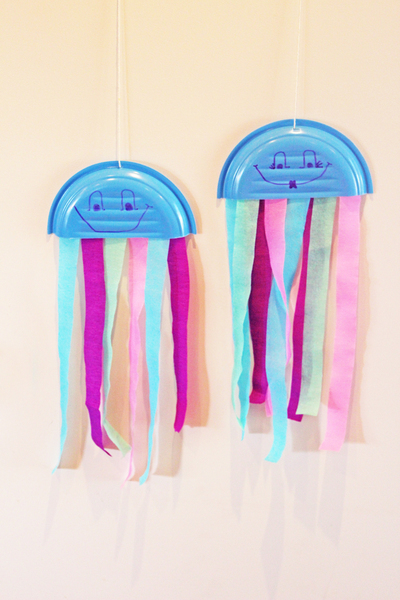 This is lots of fun for younger children, and will help personalise their jellyfish creations. Now your jellyfish is ready to go. If you want to hang them up, just use scissors or a sharp knife to pierce a small hole in the top. Thread through a piece of string, and secure with a knot.